This past Sunday was Easter! 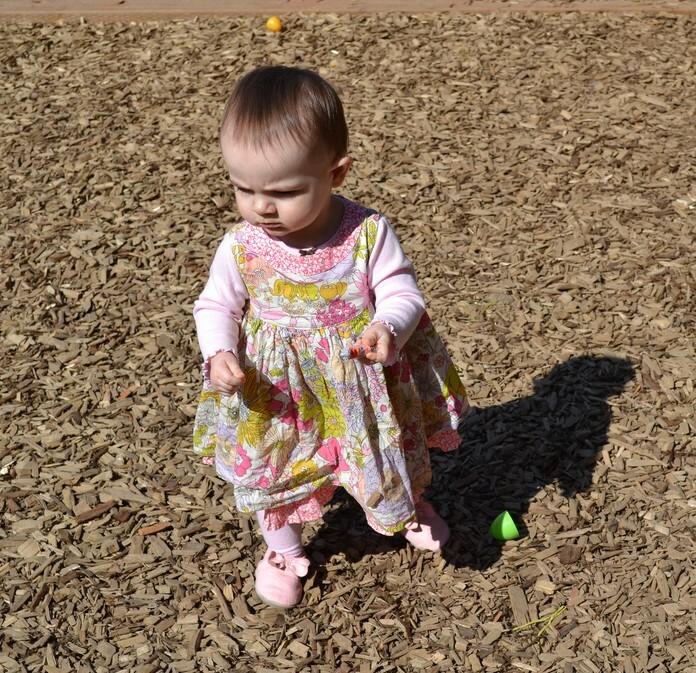 It was technically Penelope’s second Easter holiday but it felt like it was her first. 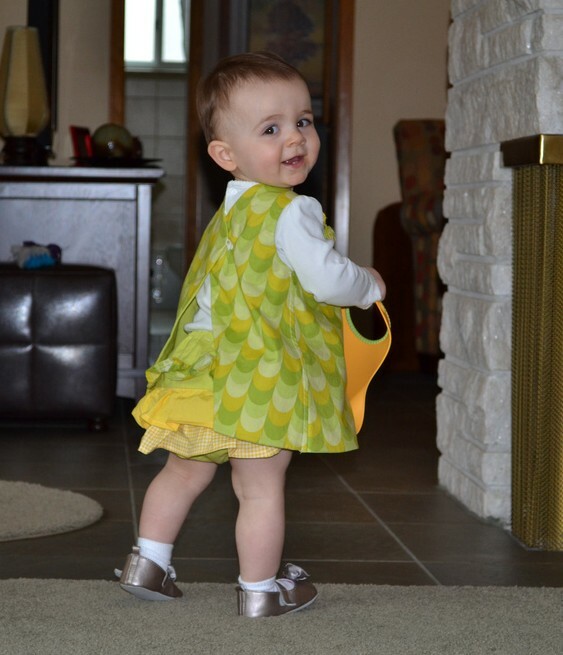 Last year she was just a tiny newborn and we were so tired and worn out that it didn’t even feel like a holiday. 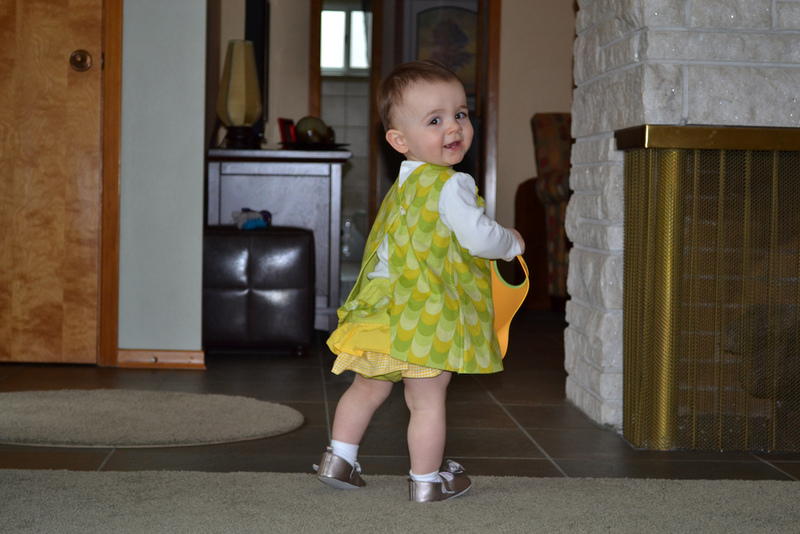 This year she was able to put on a beautiful outfit and prance around looking for Easter eggs! 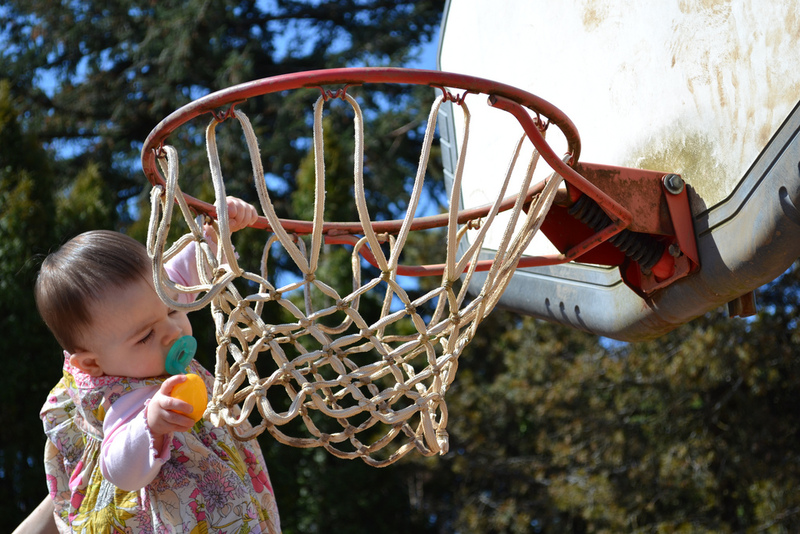 We attended an Easter Egg hunt the day before Easter at my Nieces preschool. There was a yummy buffet of food and lots of candy filled eggs to find. 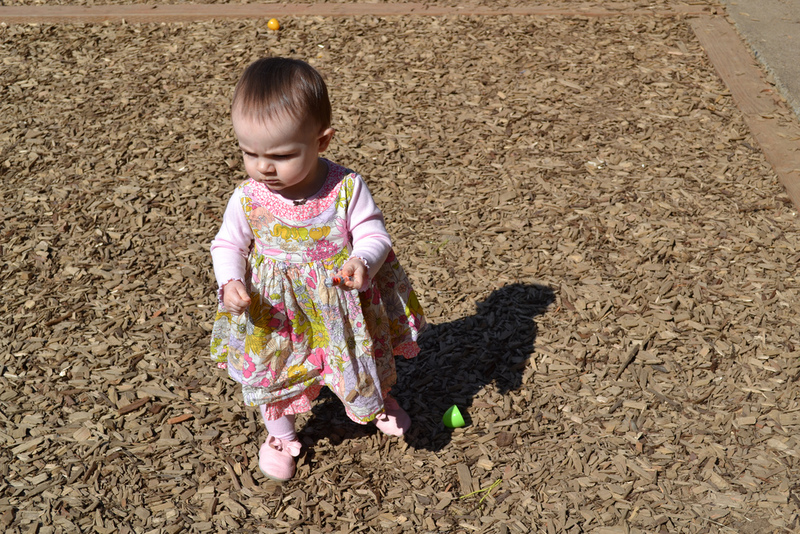 Penelope ran around like crazy and enjoyed every moment! 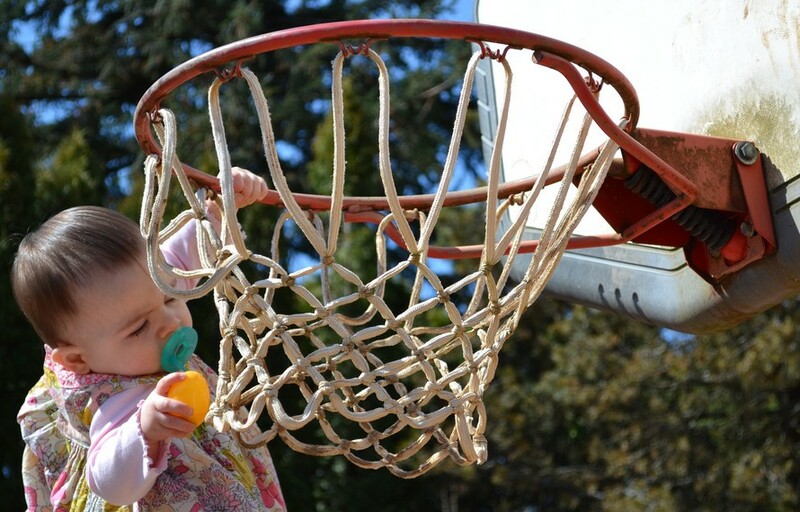 She even tried out some of her basketball dunking skills on the hoop they had. The next morning was the actual Easter holiday. 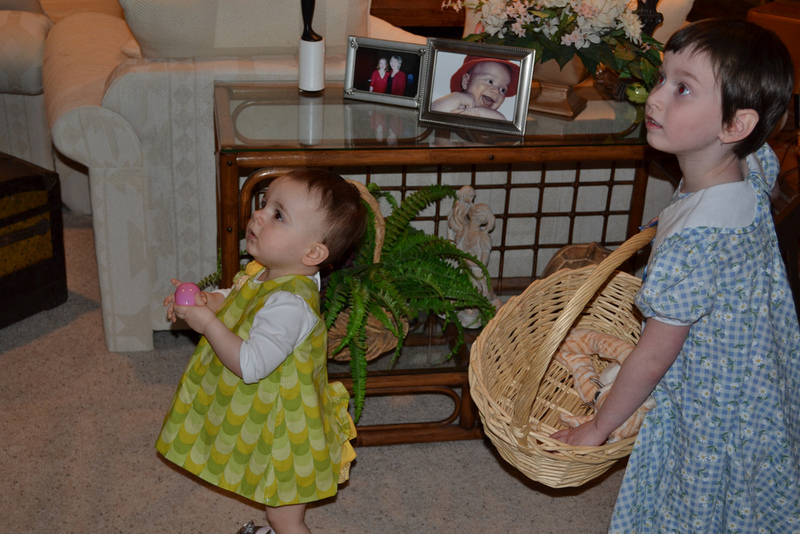 We woke up, had a nice breakfast and then hid Penelope’s Easter basket for her to find. I tried to find all non candy items for her basket (like a book and some toys) but we did decide that it was okay if she got to try out one sugary treat. 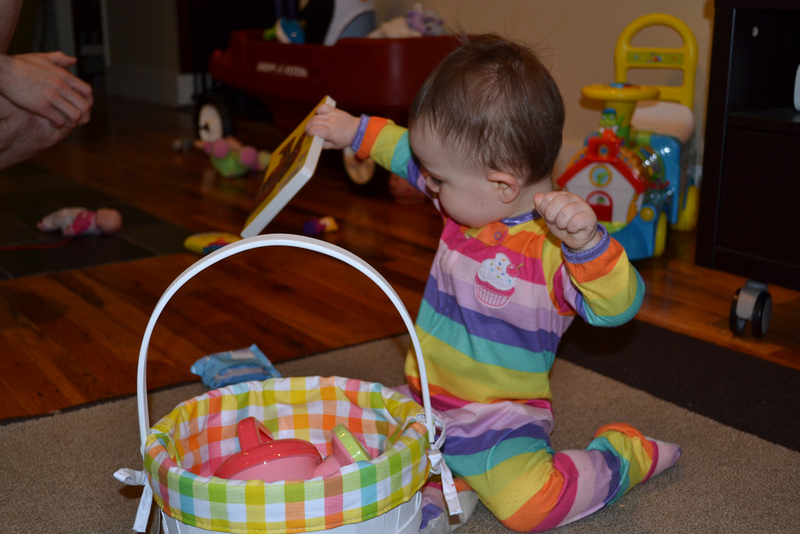 She dug through her basket and found a chocolate covered marshmallow peep. 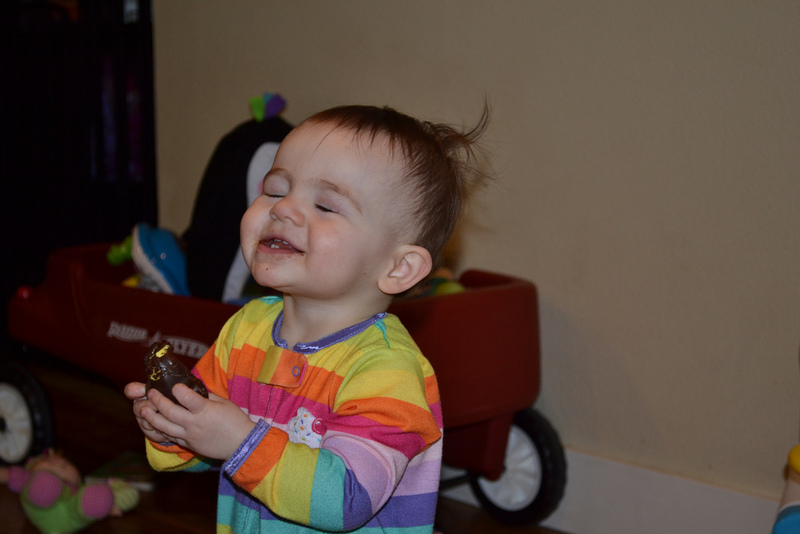 We unwrapped it from her and she dug right in….it was pure sugar heaven! After we watched her enjoy her sugar treasure and she took a very short nap (due to sugar hyperactivity) we got on the computer and had a video chat with Cory’s family in Montana. 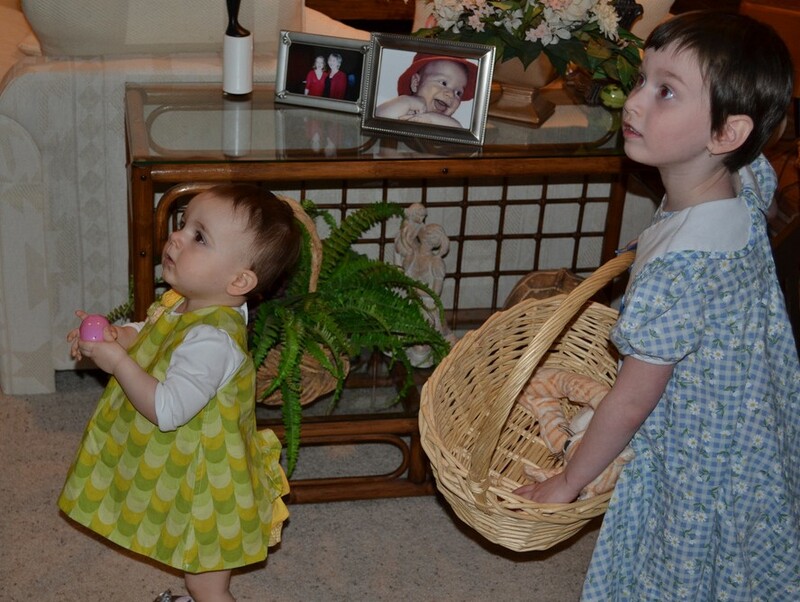 Penelope got to open up her Easter goodies from grandma and grandpa so that they could watch her. 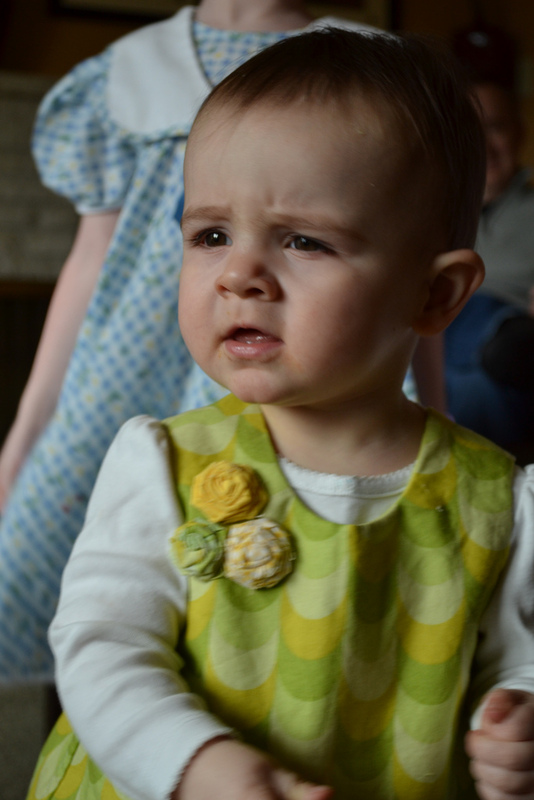 After several more nap attempts (which were all big fails) we got dressed and headed out to my sister in-laws for a nice easter dinner and indoor egghunt for the kids. This entry was posted in Activities, Crafts, Sewing.